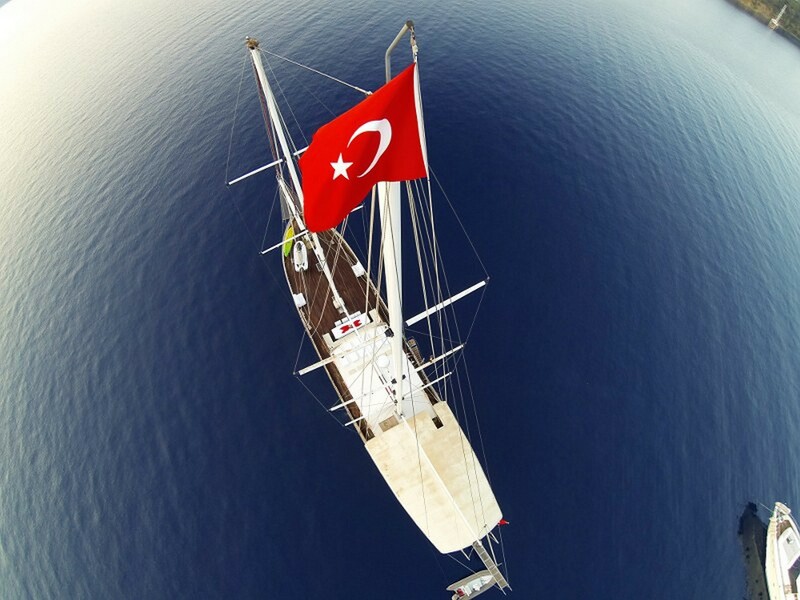 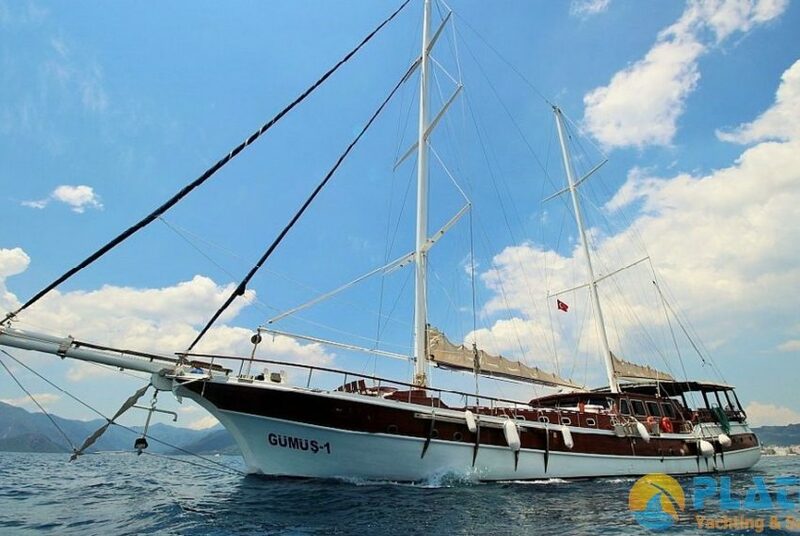 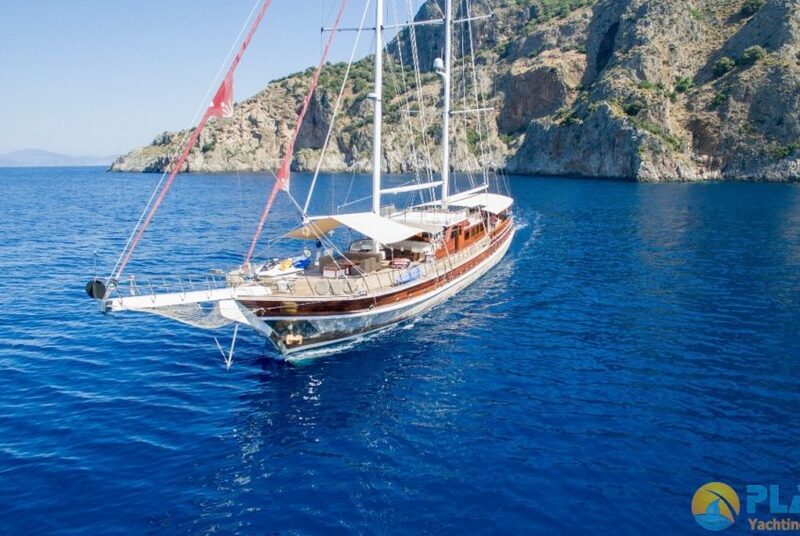 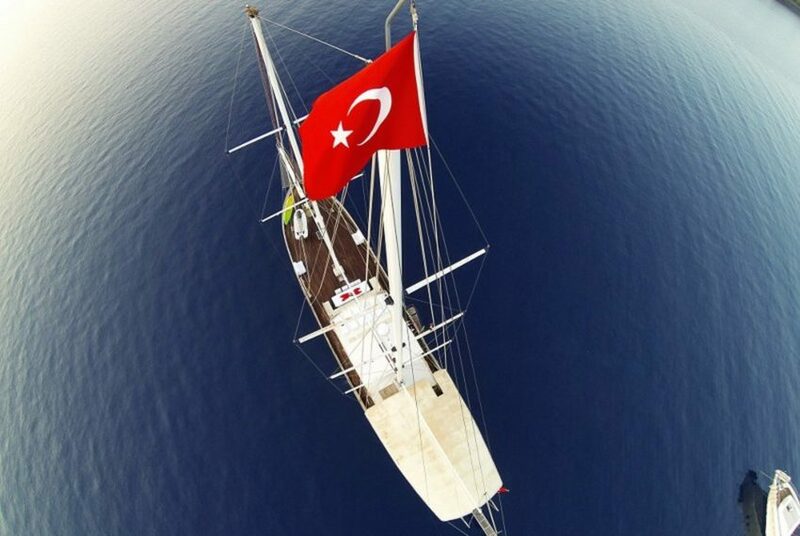 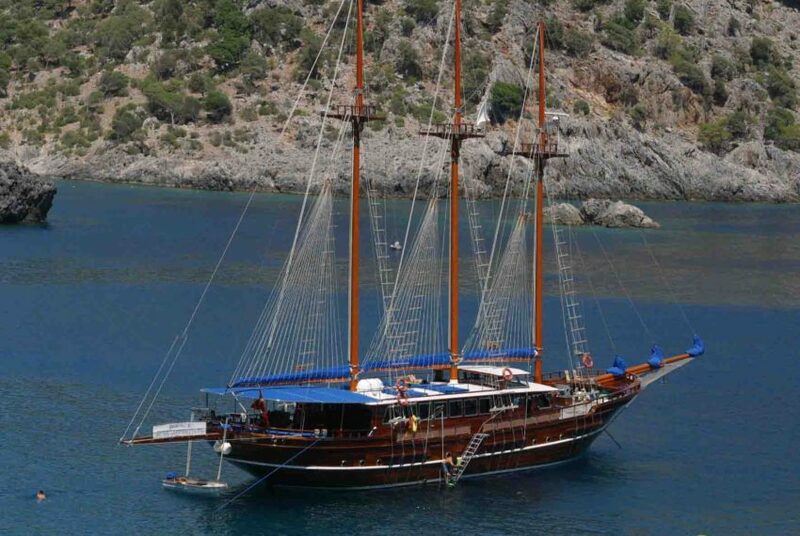 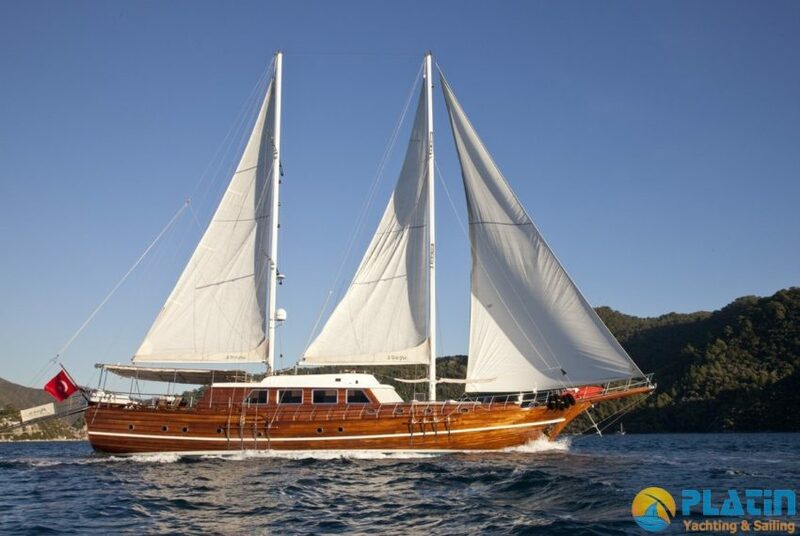 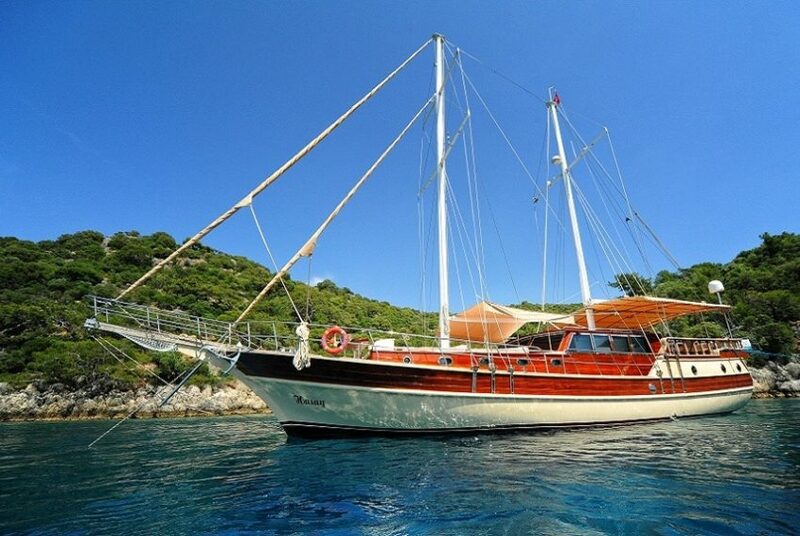 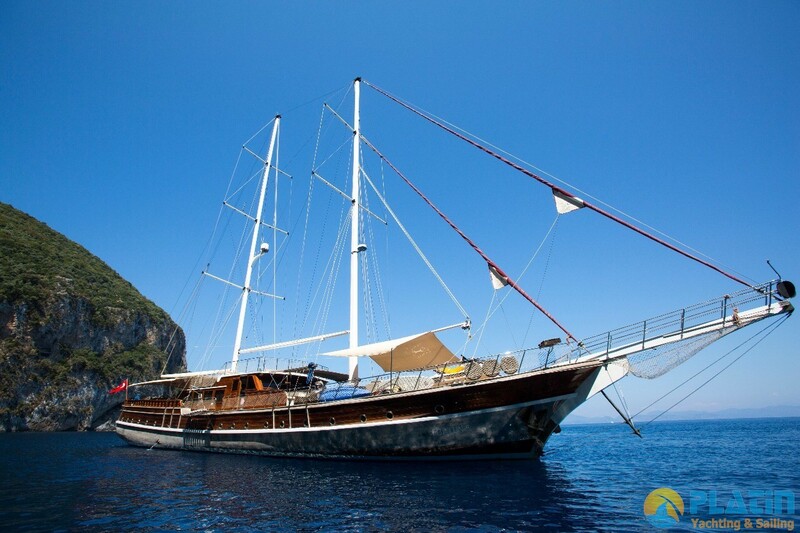 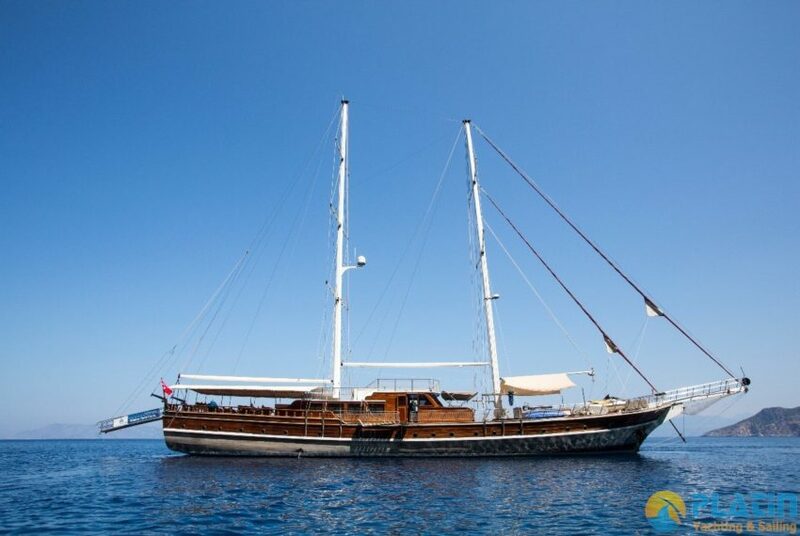 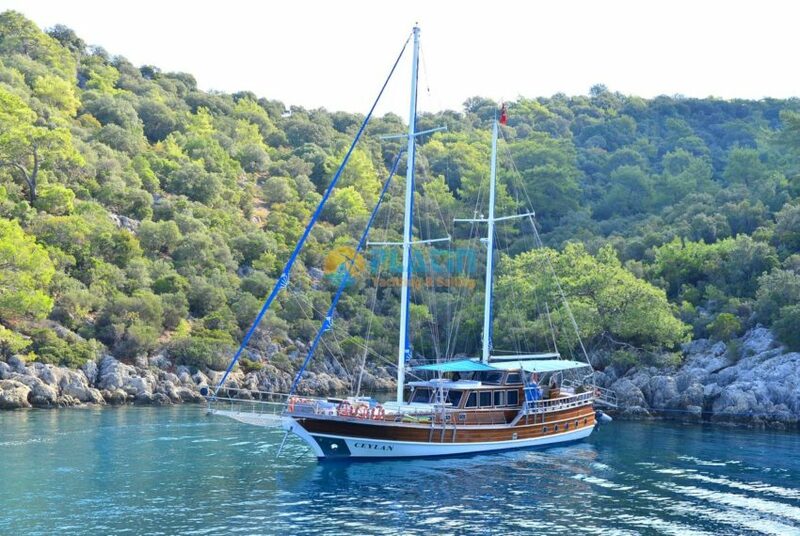 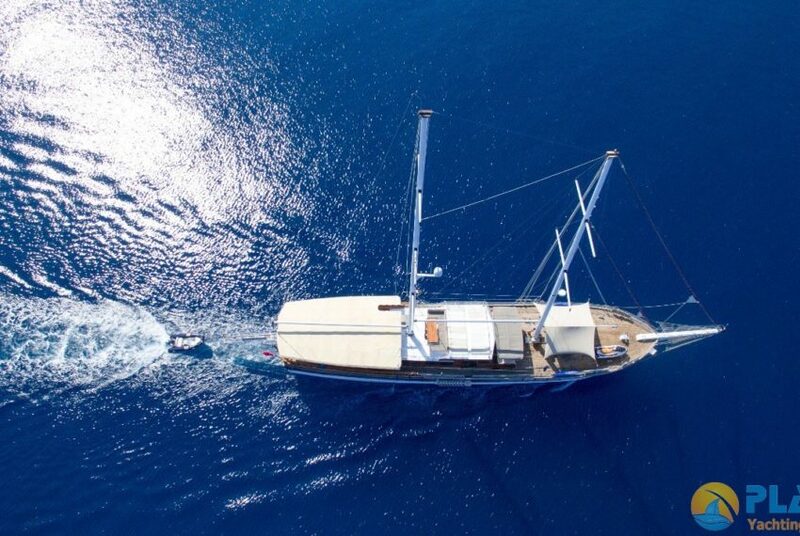 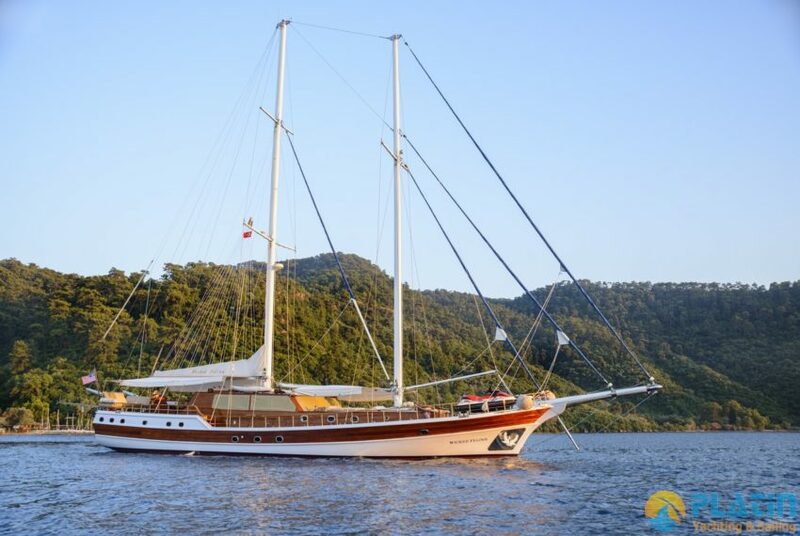 Yacht Gulet Fortuna 2 a new additional to our fleet . 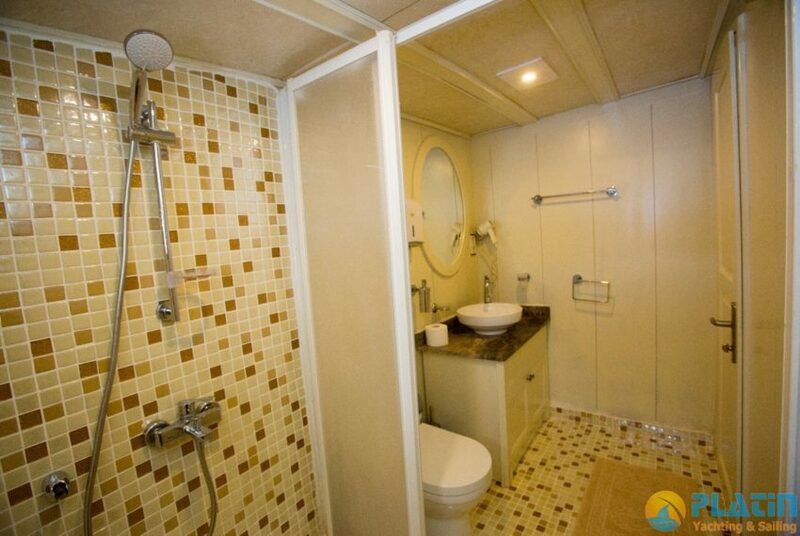 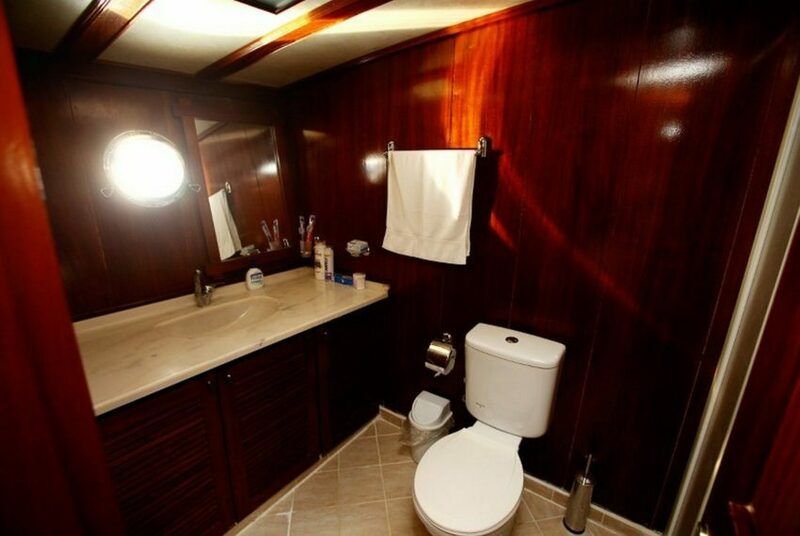 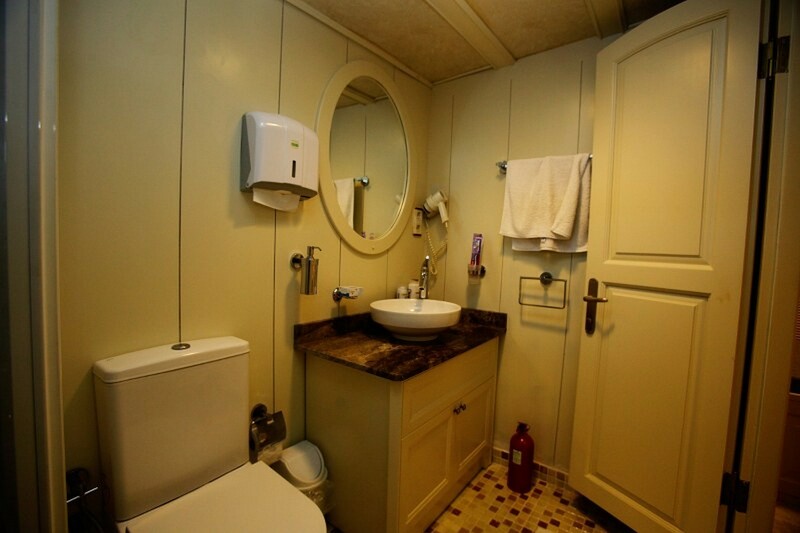 She has 2 Master and 6 double cabin .Each cabin shower wc and air conditioning. 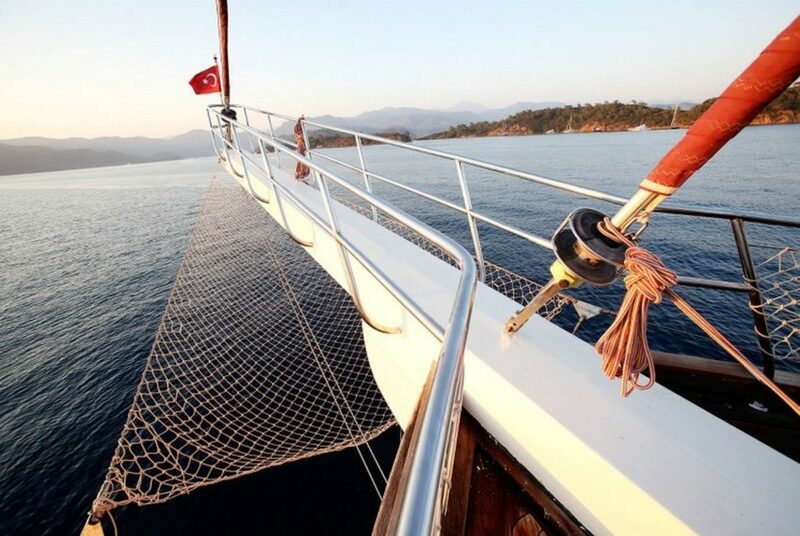 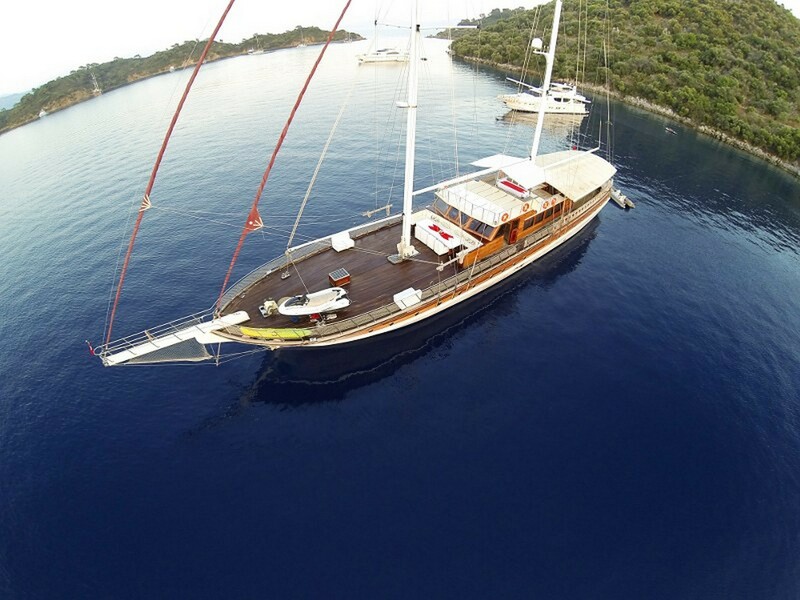 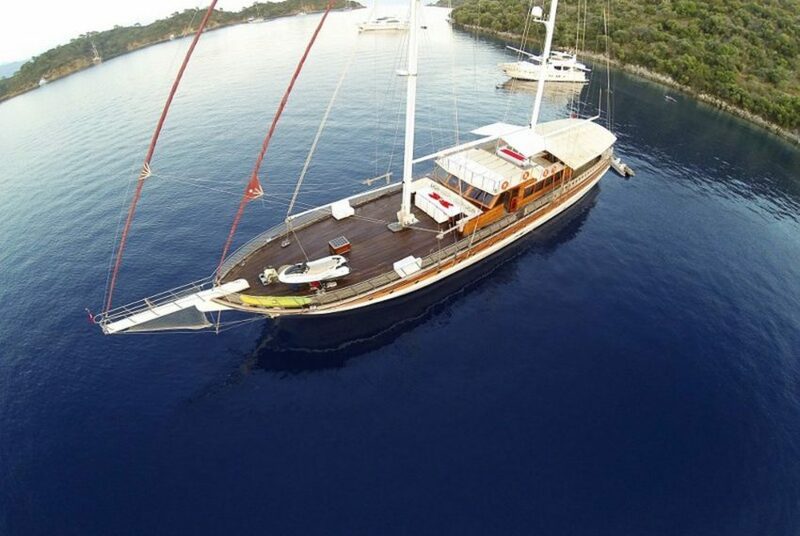 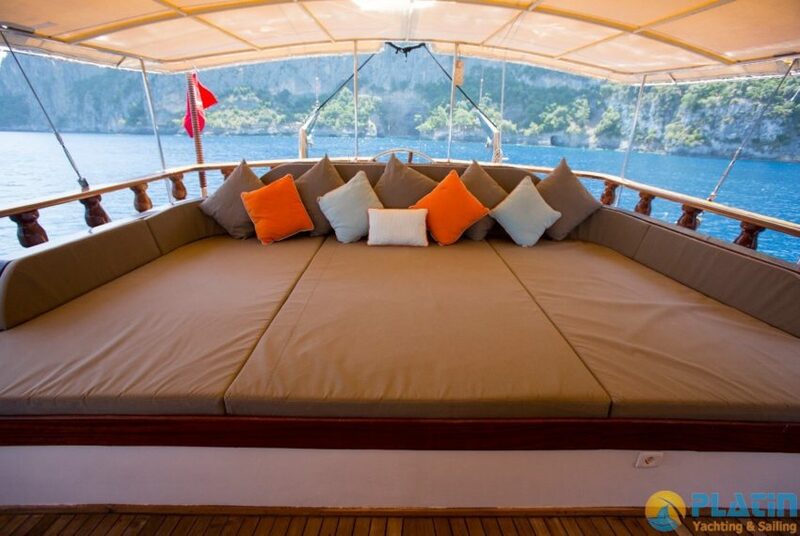 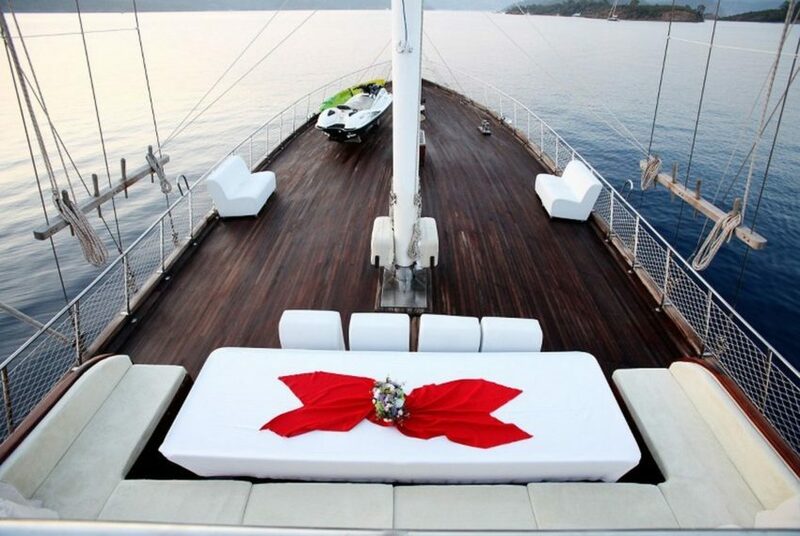 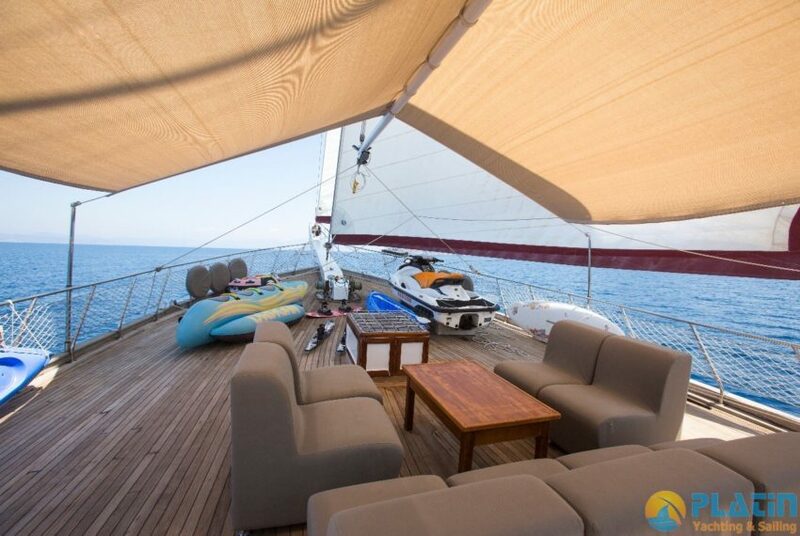 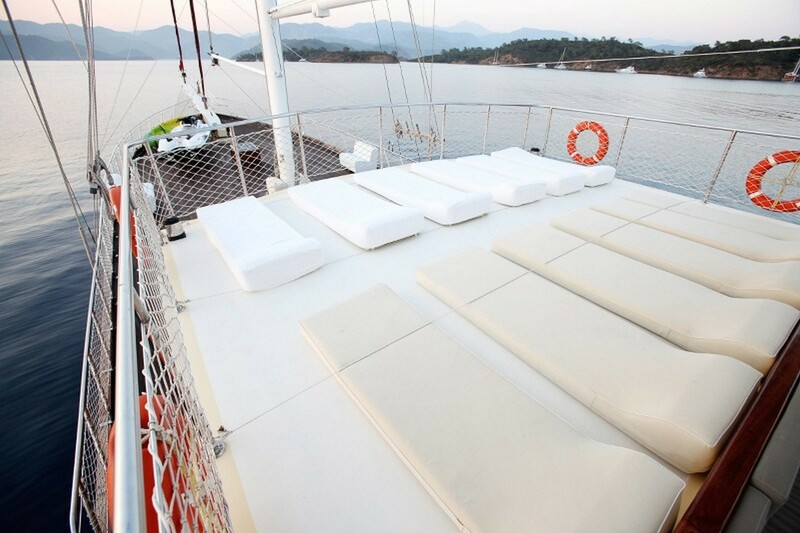 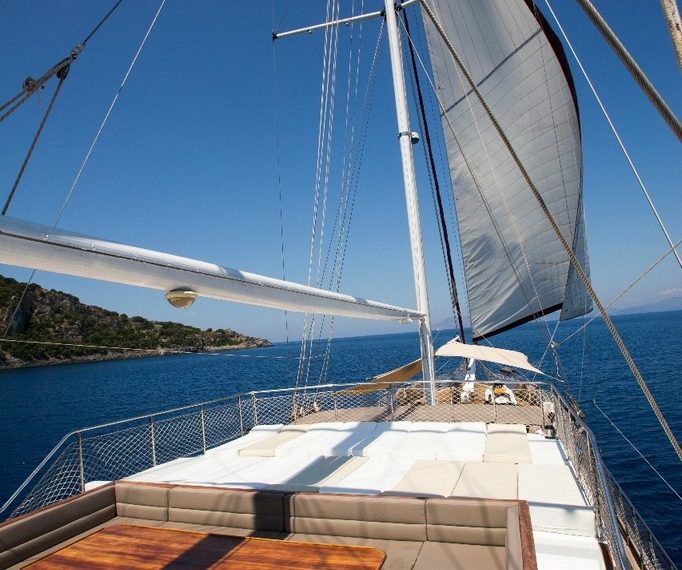 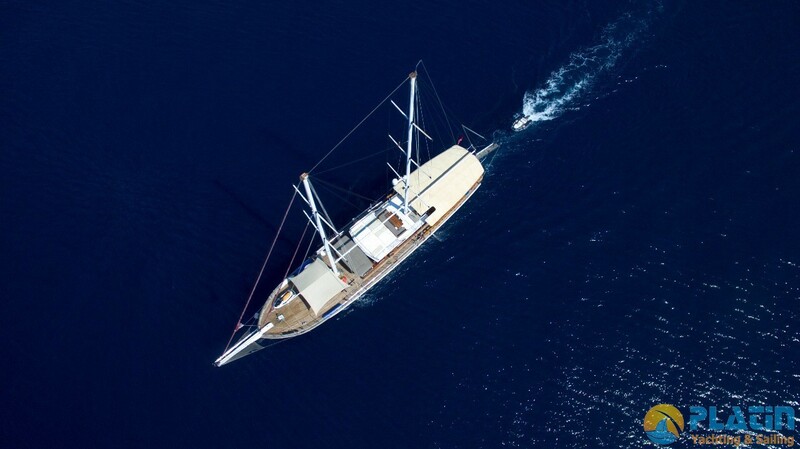 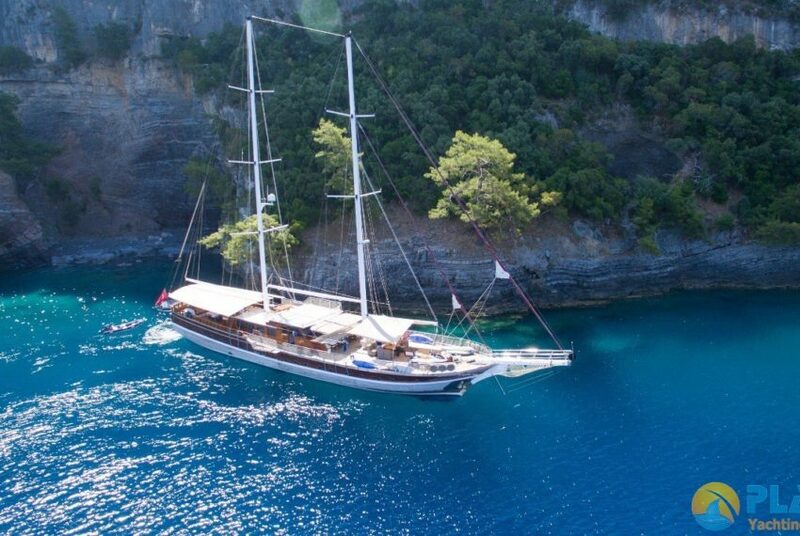 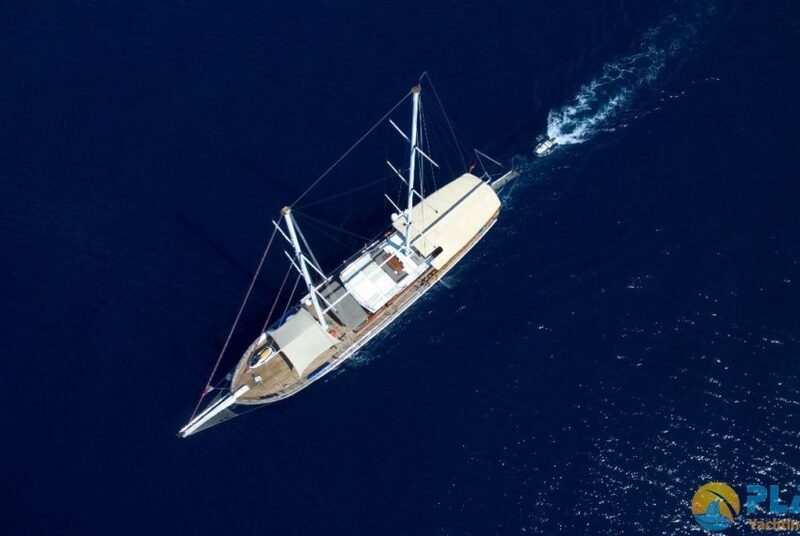 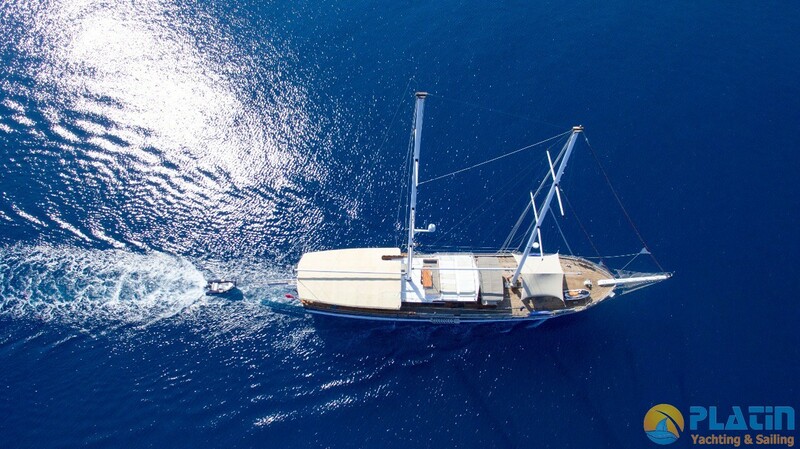 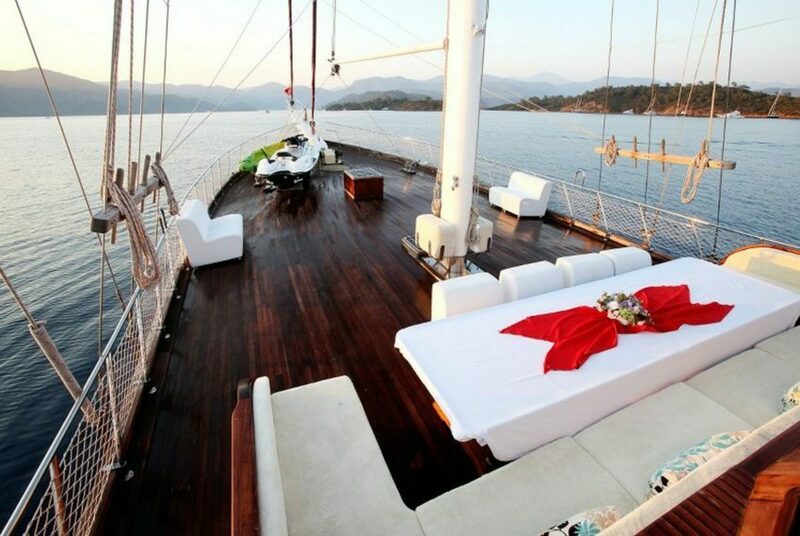 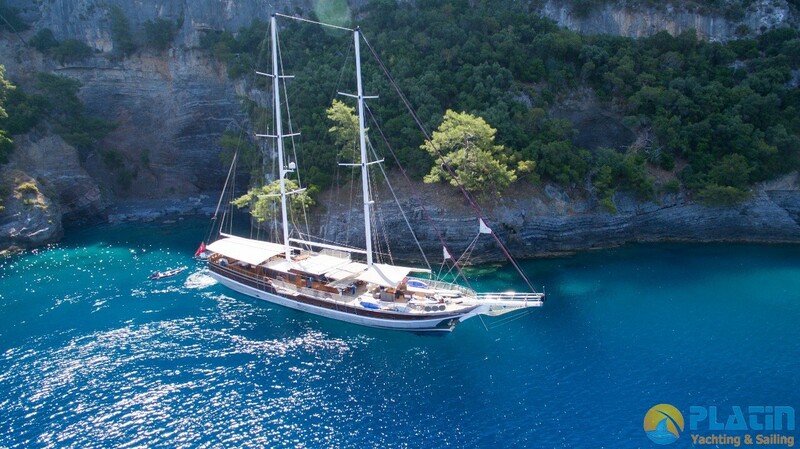 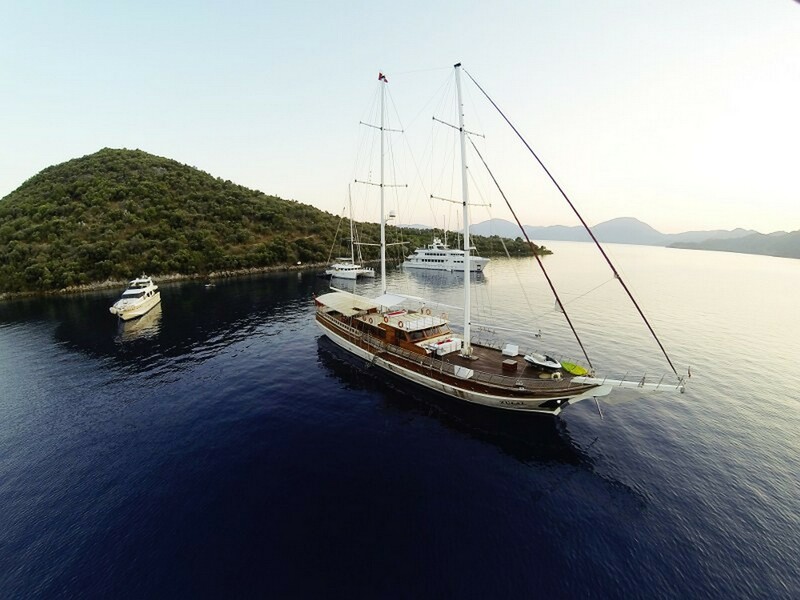 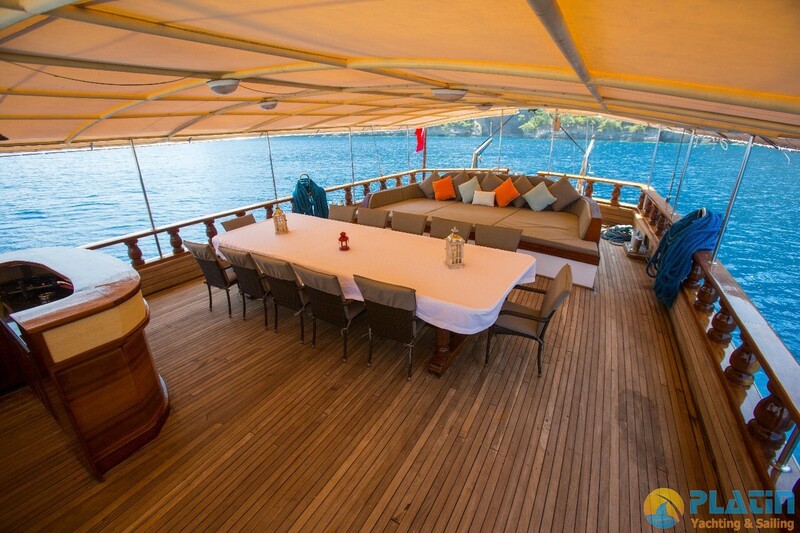 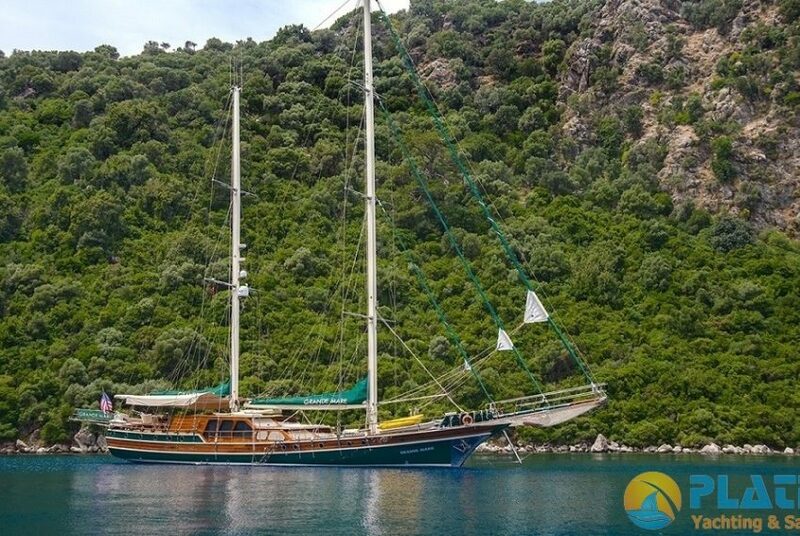 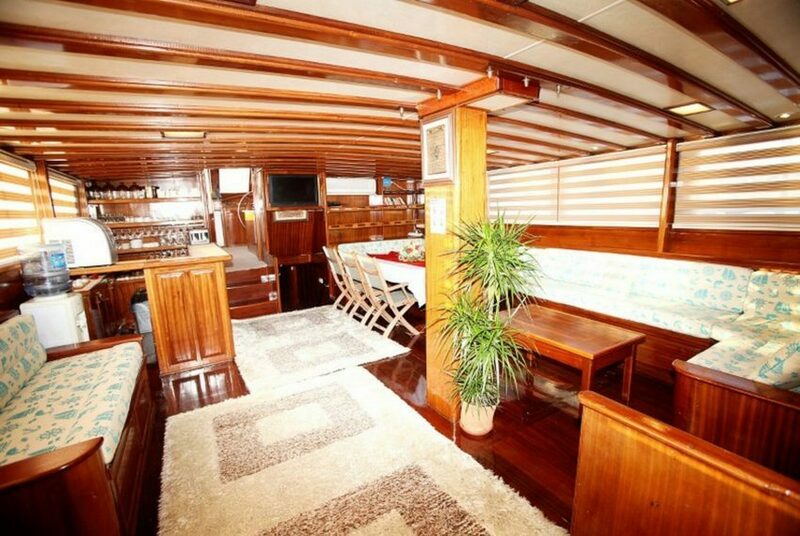 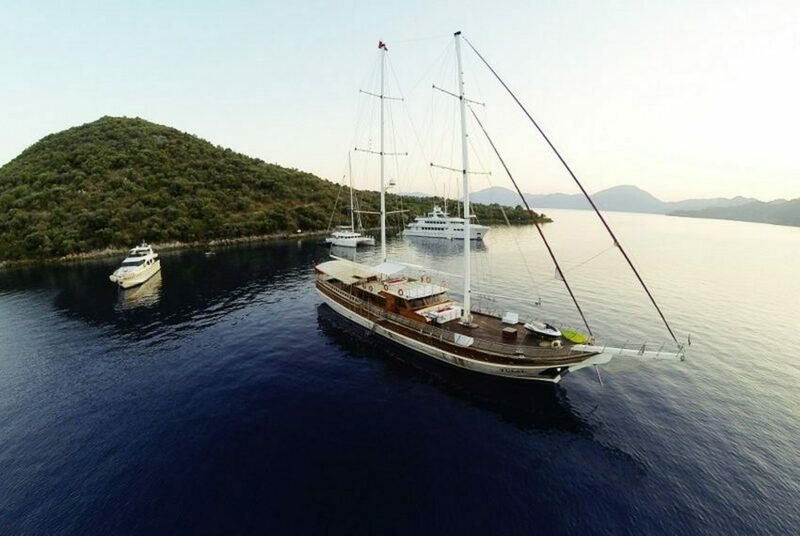 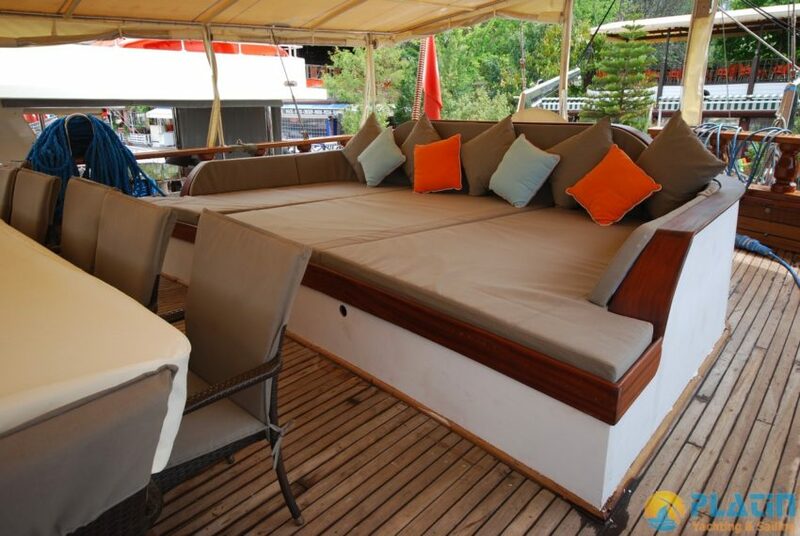 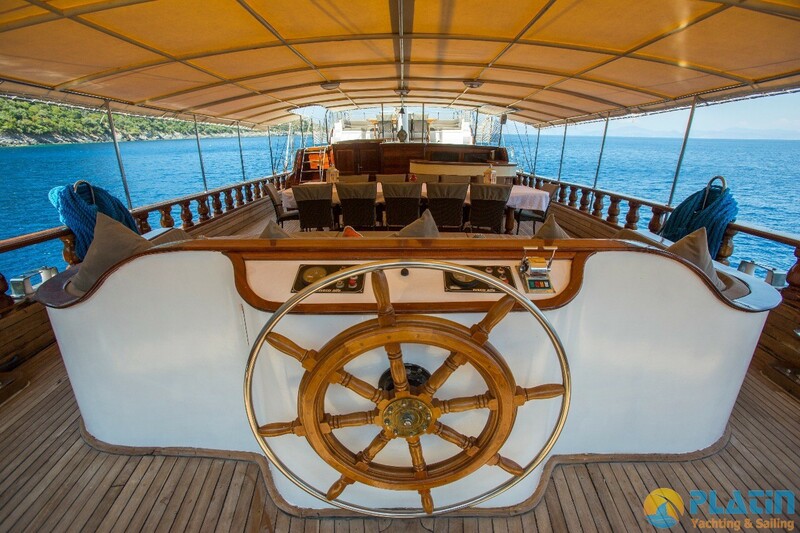 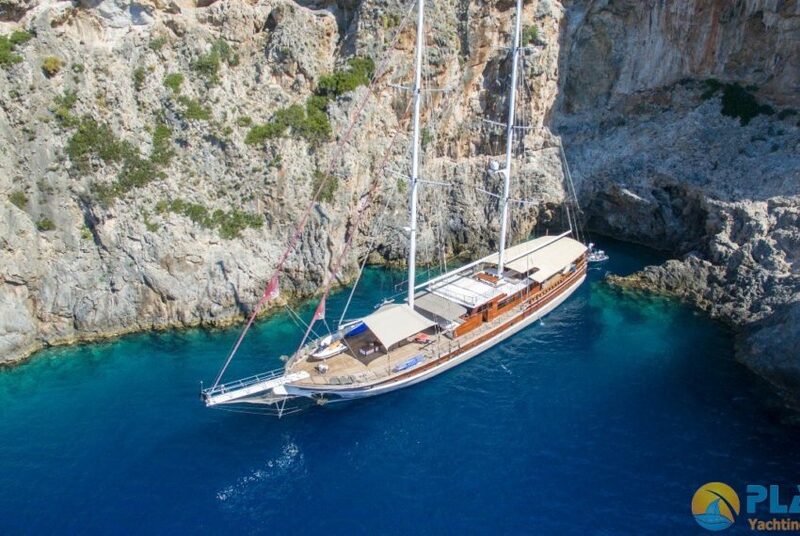 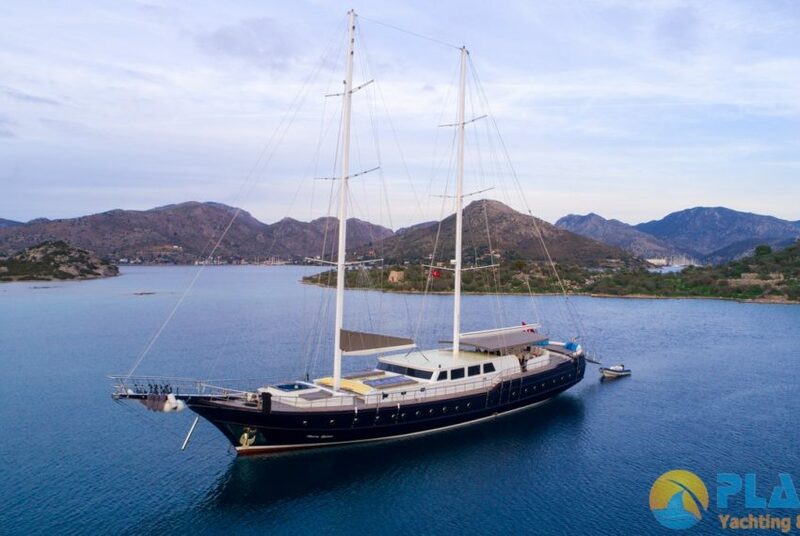 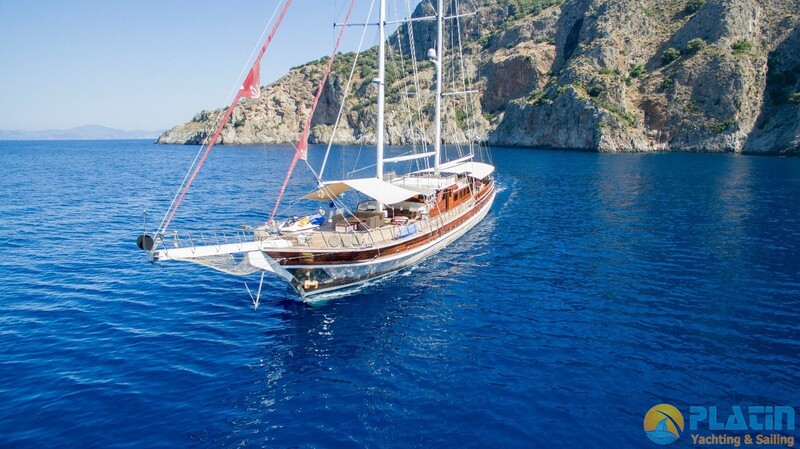 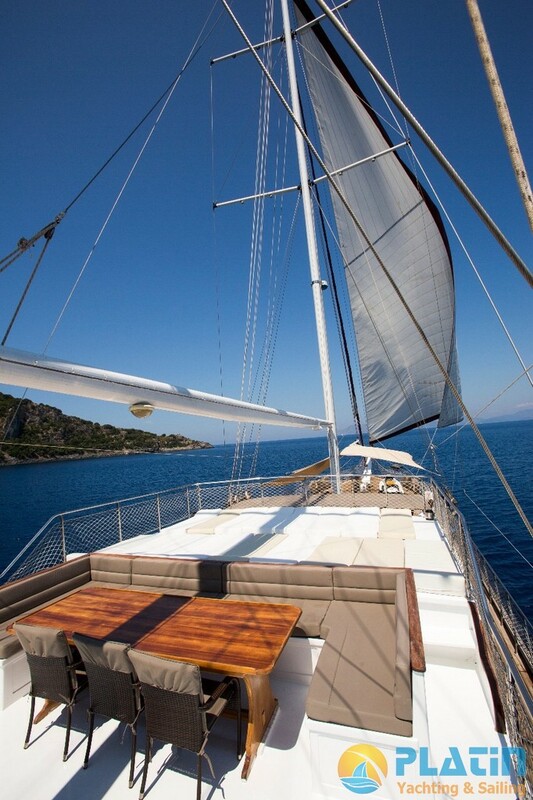 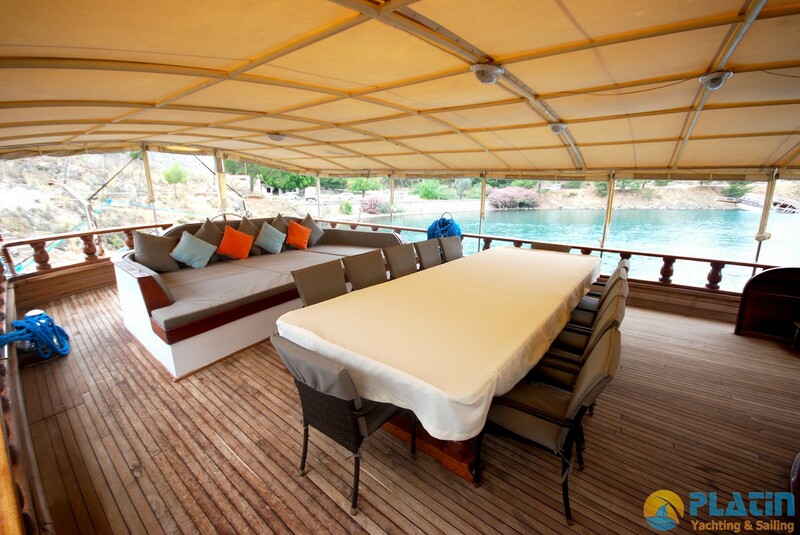 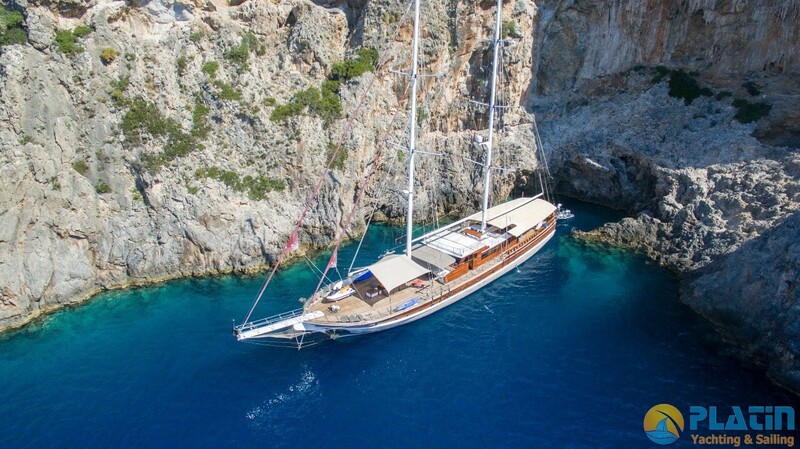 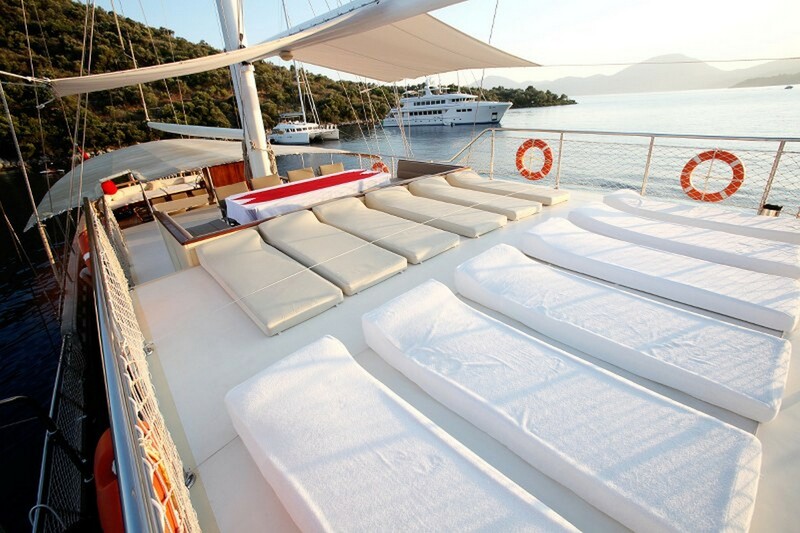 Gulet Fortuna 2 40 M and two level deck has a very species living space . 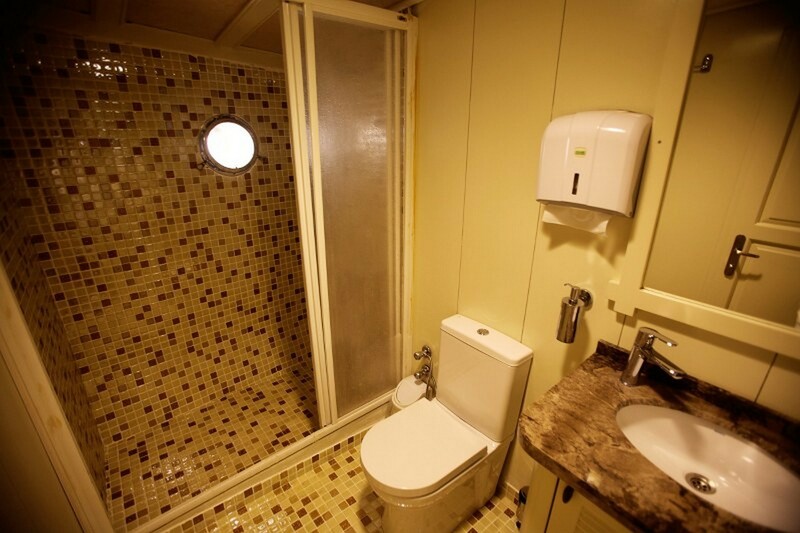 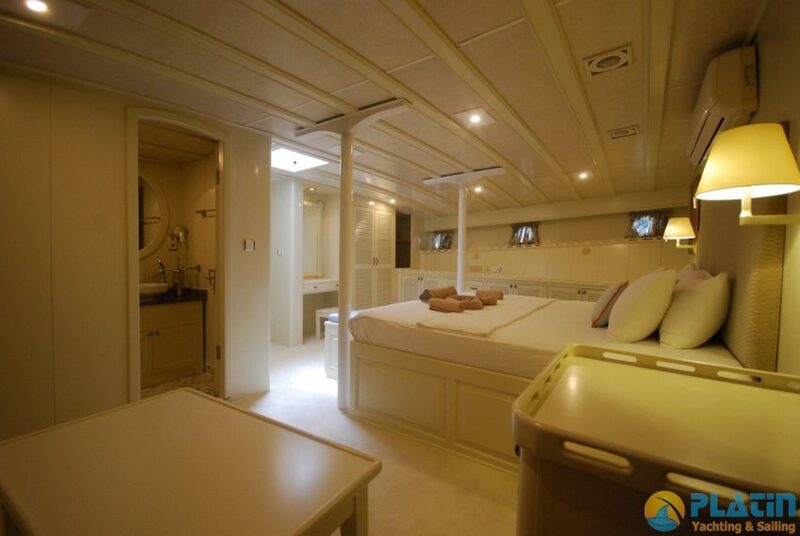 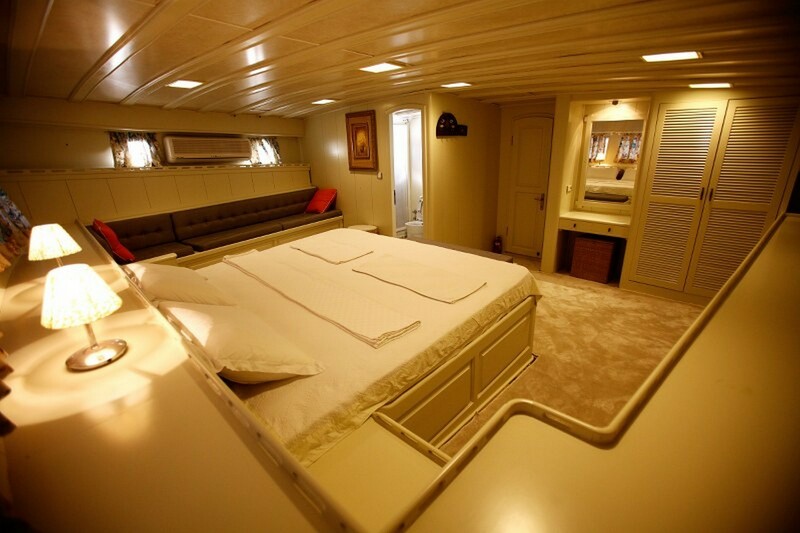 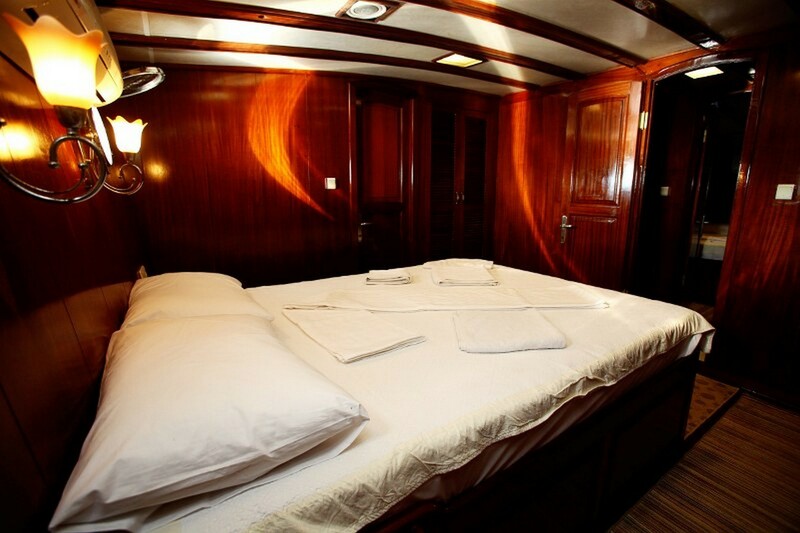 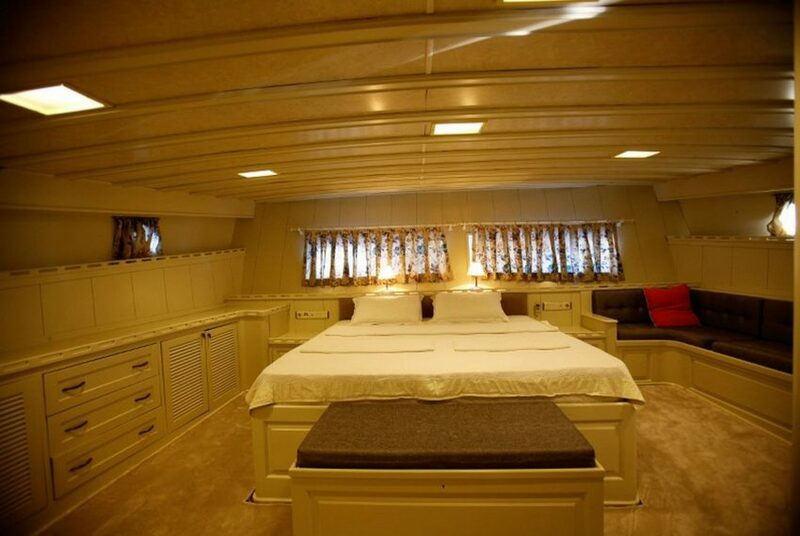 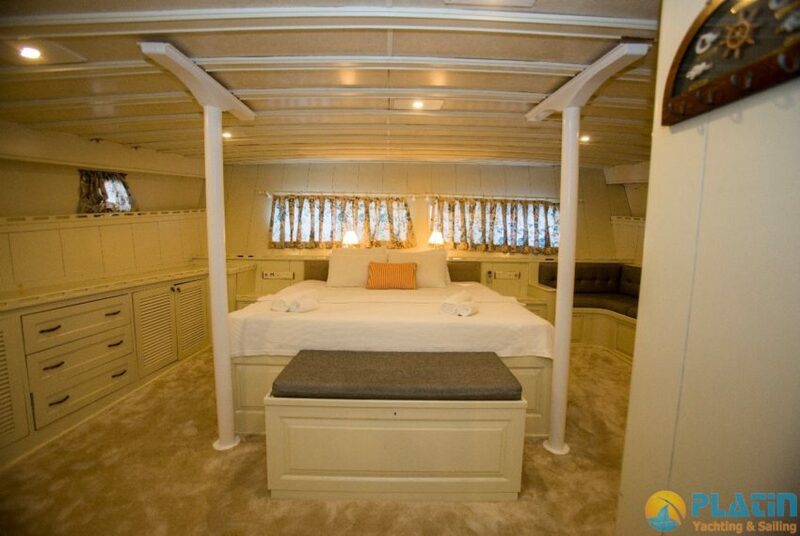 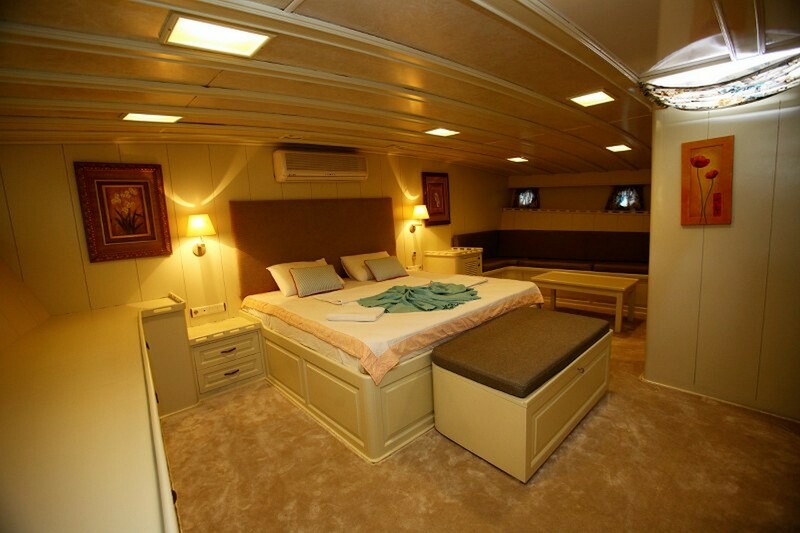 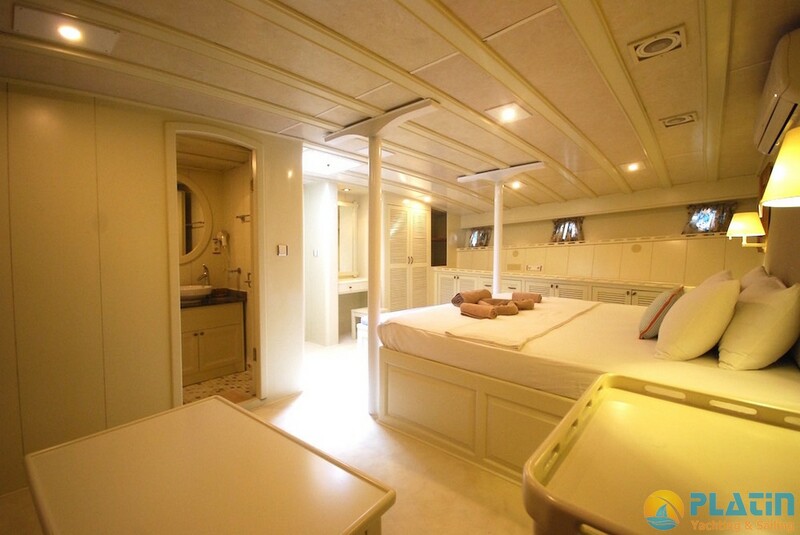 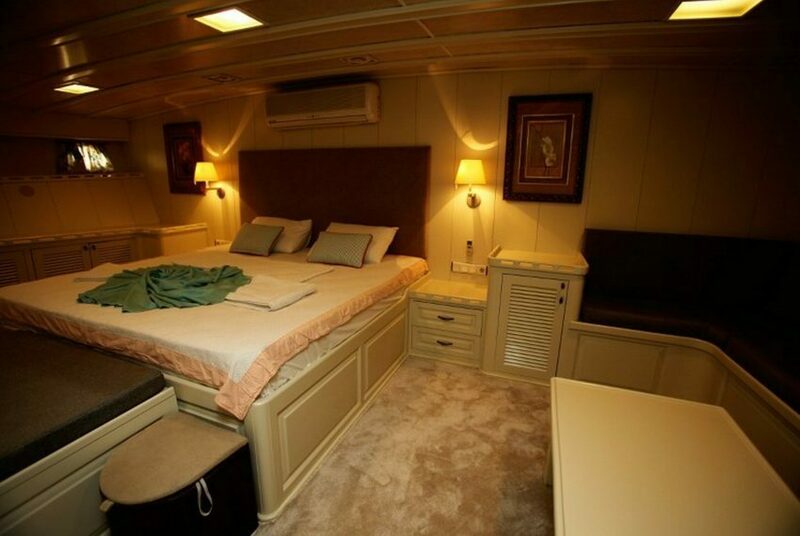 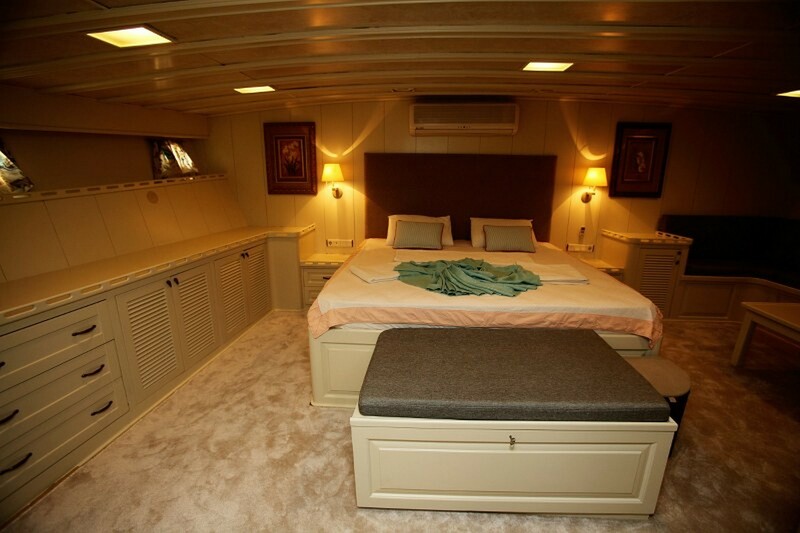 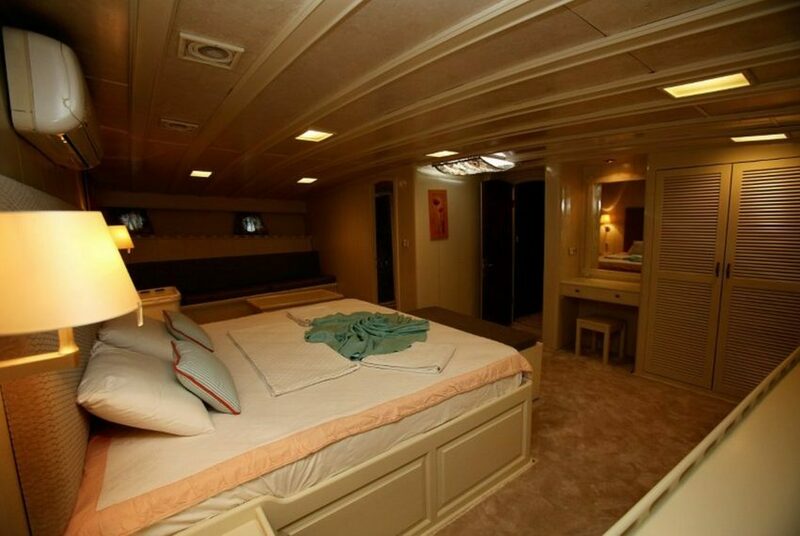 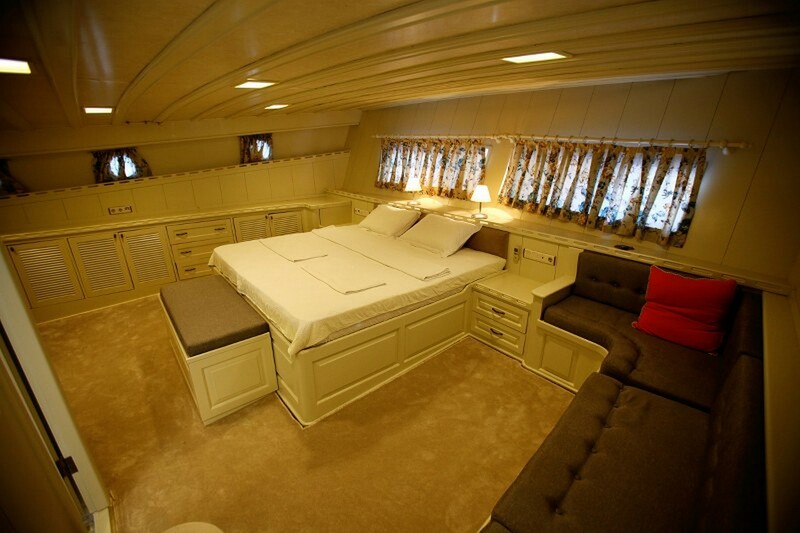 She has 2 Master and 6 double en suite cabins . 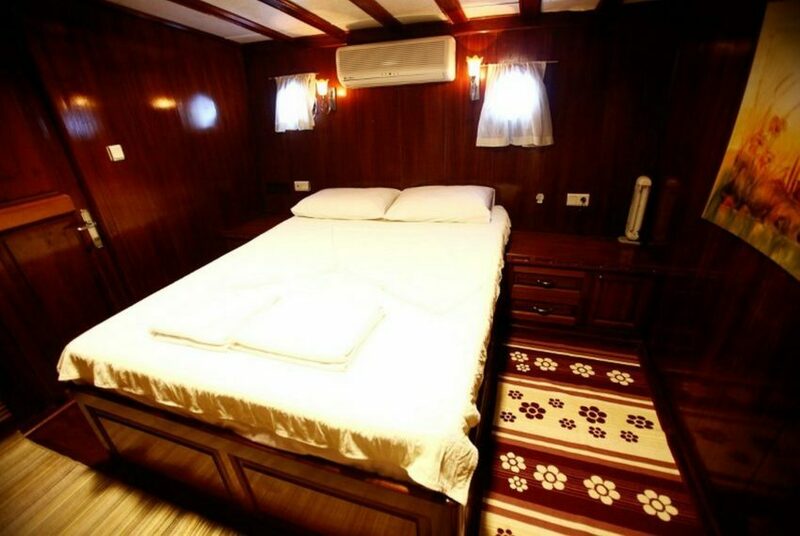 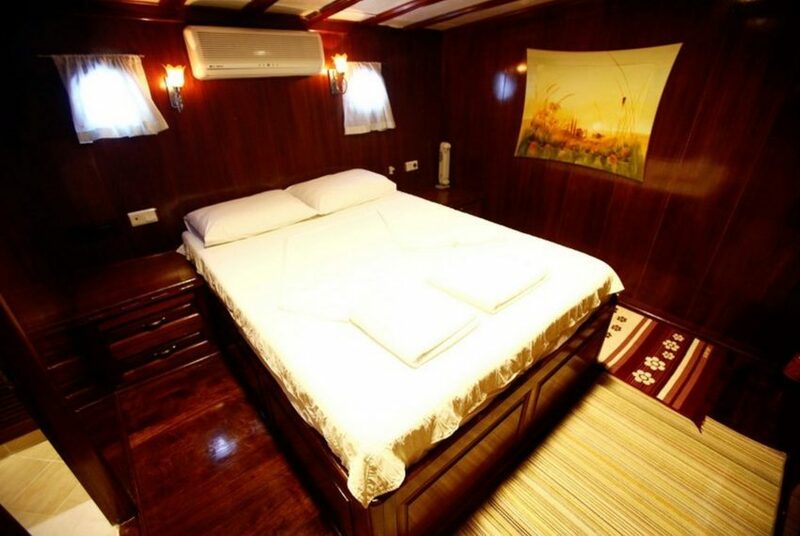 All cabins are air-conditioned . 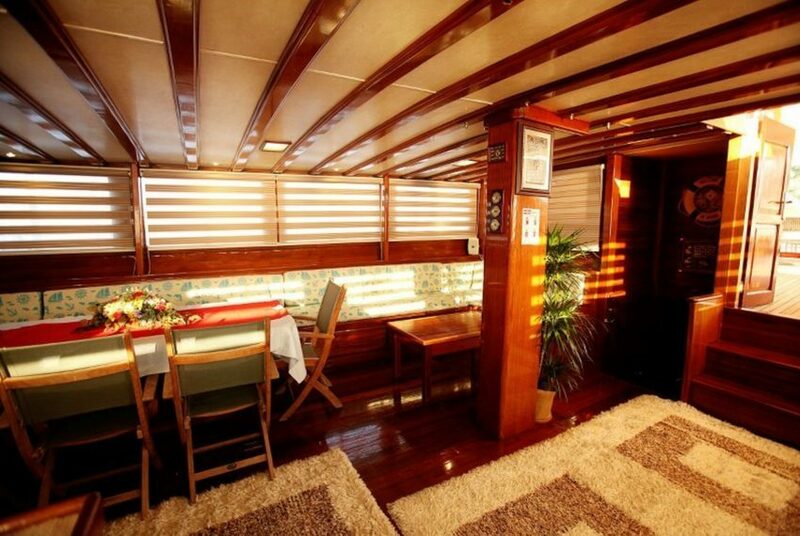 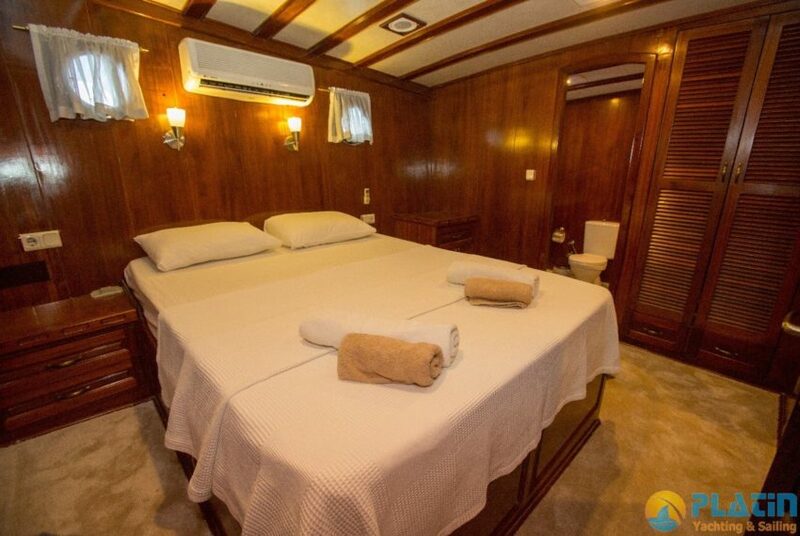 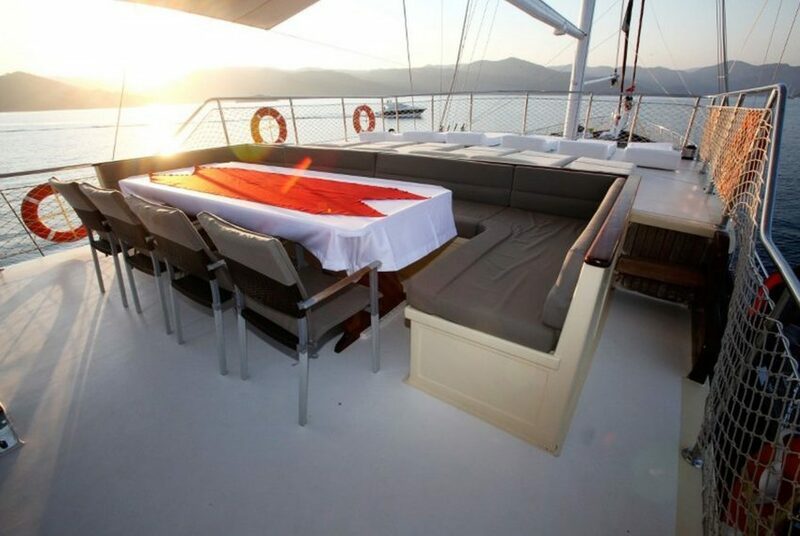 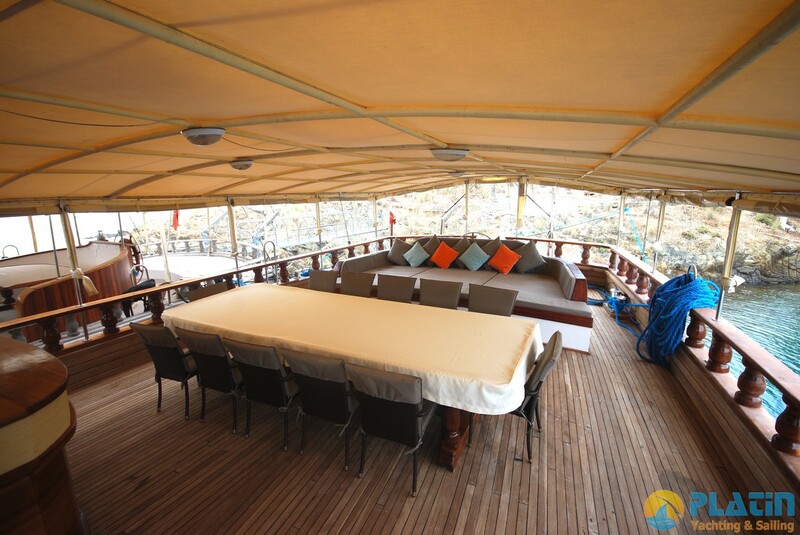 Fresco dining option on upper floor with a comfortable chilling sun beds .Either just relax and soak up the sun or have any adventure and enjoy the water sports are available on board. Electricity 220 V, 24 V.